Is it just me or are the ropes and notches unclimbable..? You might have installed a version that does not match your minecraft version. The iron stepladder makes wood noises. This is odd considering it is not made out of wood, but iron. Yes, the message has come across quite clear. 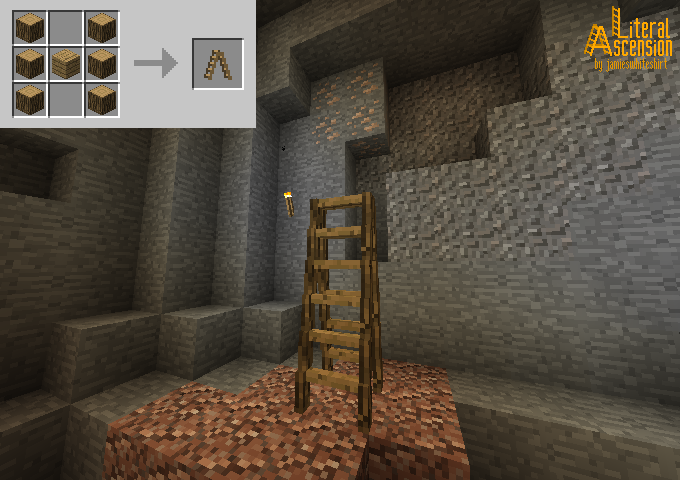 They use the same sound effects as vanilla ladders, which is squeaky, just the way I want the stepladders to sound like. It might sound a little weird on iron, but it was a conscious decision. 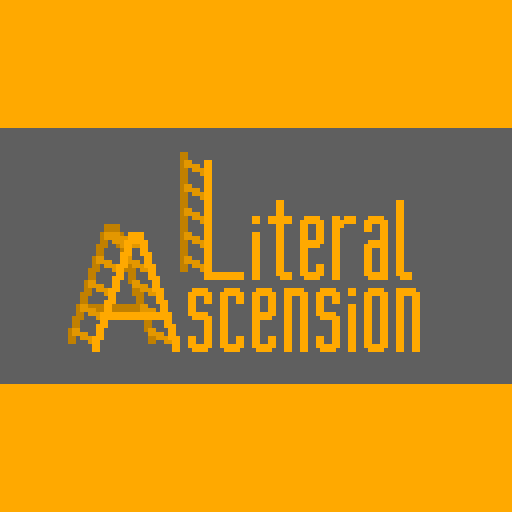 Version 1.0.1.0 of Literal Ascension seems to be agressively messing with Forgehooks/ASM wrappers. And causing crashes on startup when paired with other mods that need it. 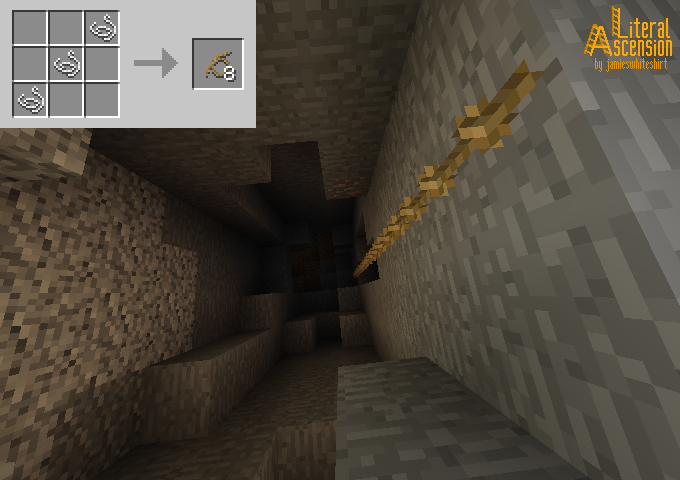 I think i know the answer, but can you make this work for 1.7.10? You know the answer. I'll let you know that I considered it, but I figured it would not be worth the effort. I got a very sudden crash (the game was working perfectly well beforehand and for a long time) which reoccurs each time I attempt to load the game world. I run 27 mods, but it seems that the crash is related to Literal Ascension interactions with Biomes o' Plenty. Crash details in the spoiler above. Any idea what should I do? I'd really like to get my world back, considering the amount of time I spent in it. OpenGL: AMD Radeon (TM) R9 200 Series GL version 4.5.14008 Compatibility Profile Context 21.19.137.514, ATI Technologies Inc. I can confirm this is an issue. Currently looking into fixing this. If you don't mind losing items and blocks for Literal Ascension, you can temporarily uninstall Literal Ascension, open and close your world, then reinstall the mod. Alternatively, if you are familiar with world editing software, you can navigate to and remove the stepladder that is causing the issue if you know where it is. I assume the GNU license allows distribution in public modpacks, but just to be clear, what's your modpack policy? 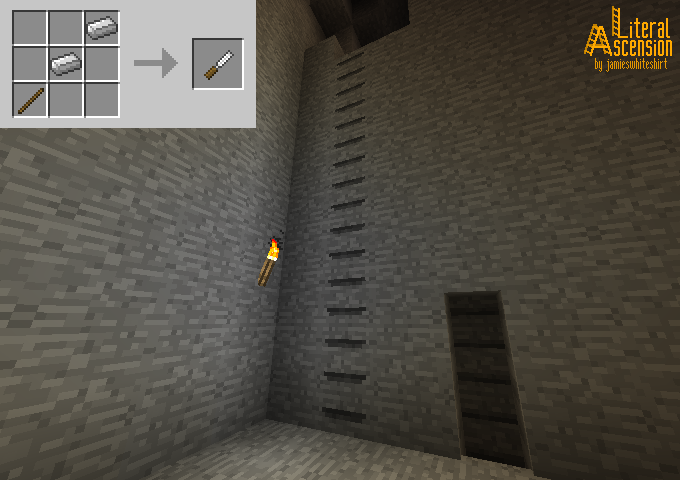 I want to include this in a public modpack available in the FTB and curse launchers. Of course, full attribution and a link to this page will be included. Feel free to do whatever you want with it as long as it is compliant with LGPLv3. So modpack inclusions are OK. Wooden Stepladders seem to have a duplication bug when picking them back up. Unable to reproduce with the information you supplied. Were you breaking the stepladder or picking it up by right click? Which stepladder were you actually picking up? A specific wood type one, or the miscellaneous wood one? The miscellaneous wood one is disabled by default. Were you in creative mode or survival mode? Did you use any other mods? If so, list them. Created an issue on Bitbucket. As a fellow Developer I must apologies for not posting the issue there to begin with.